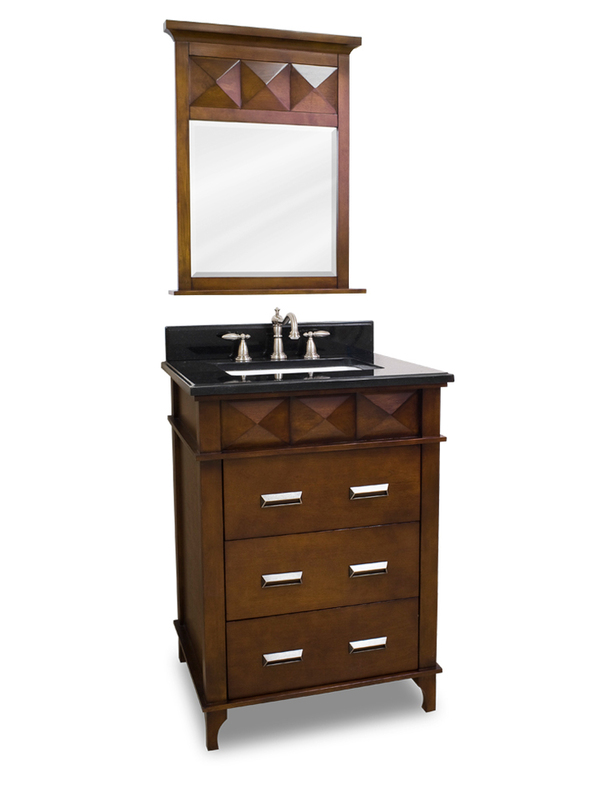 Classy goes a long way with our savvy 26" Lyndon Single Bath Vanity. 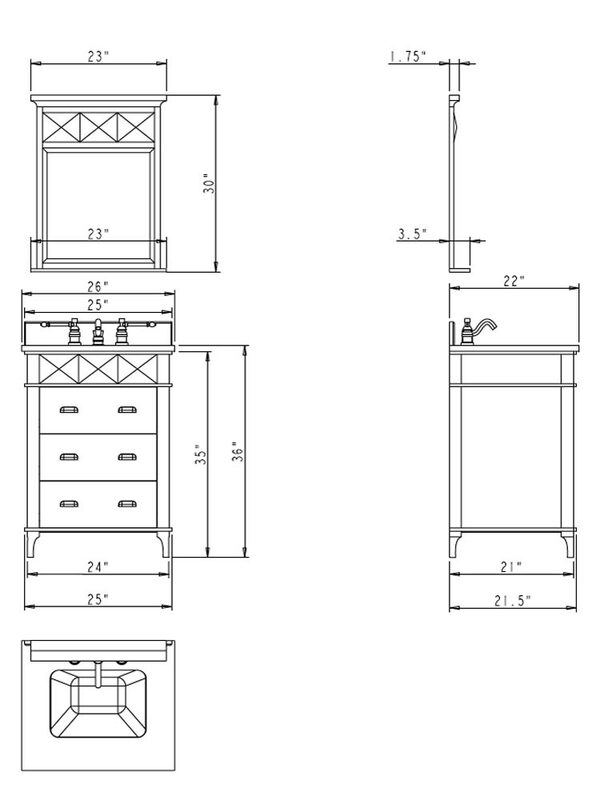 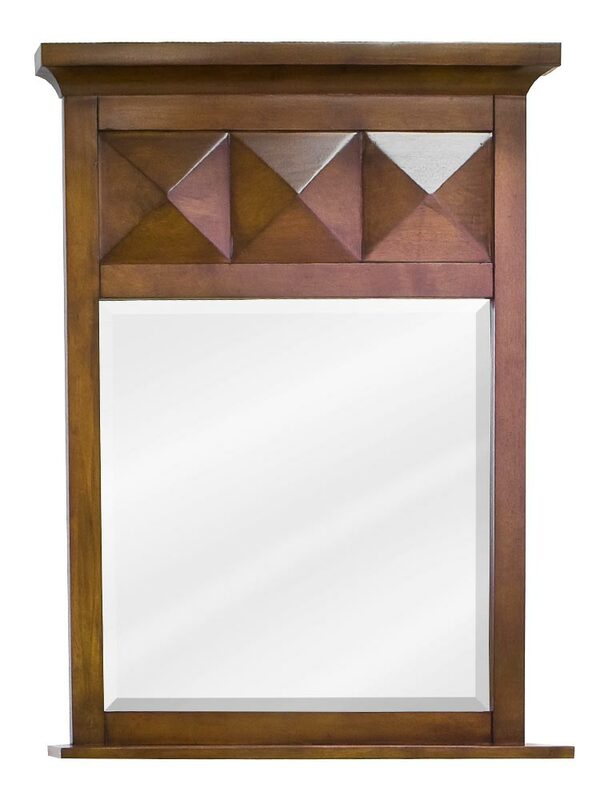 Its smart looks feature a rich brown finish with carvings along the top and clean lines across the entire vanity. 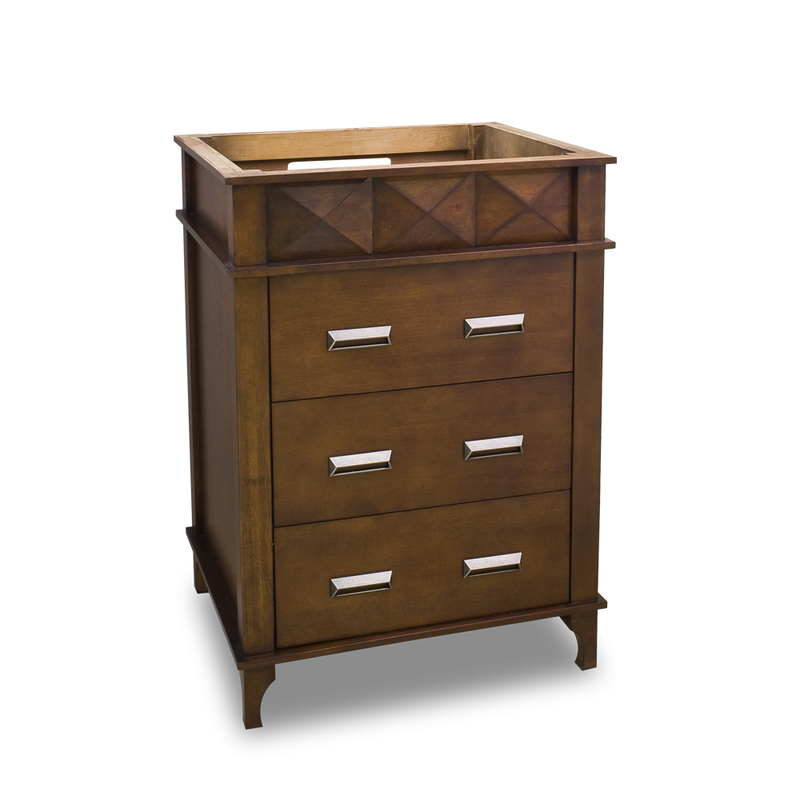 Modern decor features like its dual metal pulls for each of the 3 drawers make it a perfect fit for traditional and modern bathrooms alike. 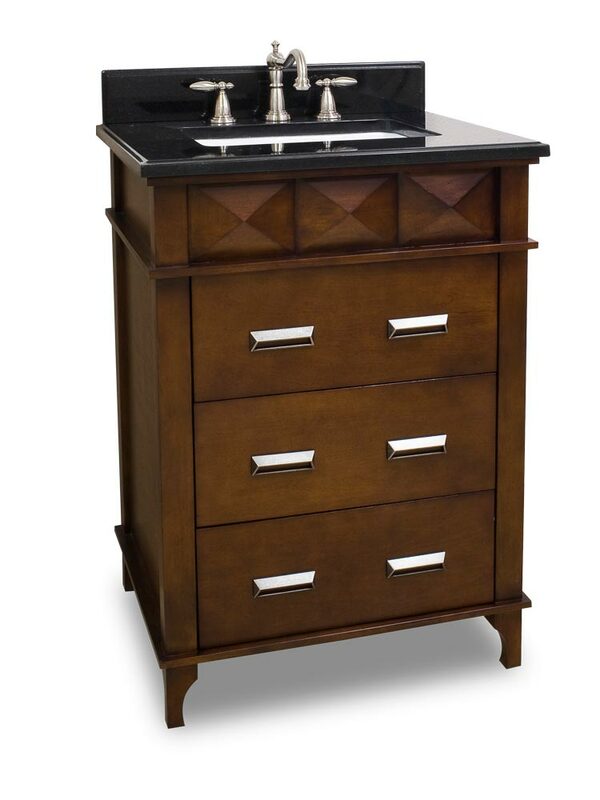 This timeless vanity is topped with a gorgeous black granite top for an all-around sophisticated design and functional element for your home!